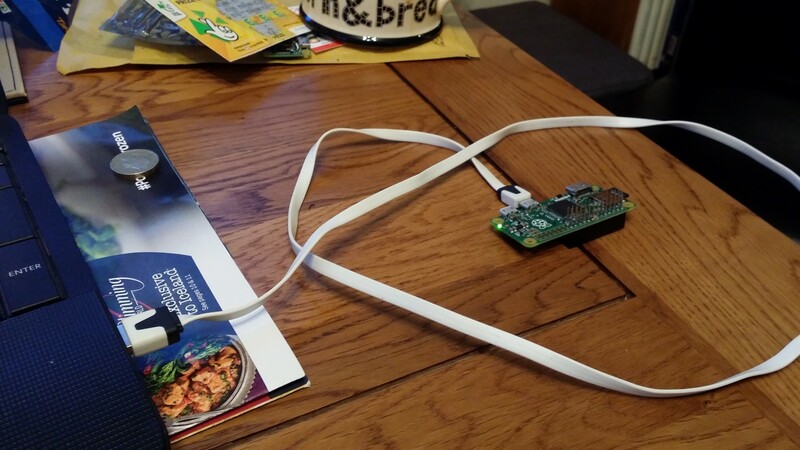 As usual, I just want to make it as easy as possible to get USB networking on the PiZero and here is my latest guide. First, flash Jessie (full, not lite) onto a blank microSD card and put it into an internet connected Pi. Boot it up and resize the root partition (open a terminal and enter sudo raspi-config, then select expand and reboot). Once it starts up again, run sudo BRANCH=next rpi-update. This will take a while. ip addr add "192.168.137.2" dev "$interface"
ip addr add "$aliasip" dev "$interface"
Plug USB cable between PiZero (middle socket and PC) – the green light on the PiZero should flash once after about a second – your PC should beep like it does when you stick a device into a USB port. Now, if you’ve not done anything like this before then a bit of configuring is needed on your Windows machine. Then unplug/plug USB and then get into Network Adaptors and click on Change Adaptor Settings. If you’ve got an unidentified USB Ethernet network adaptor then you are good to go. If it says “identifying” then just wait till it comes ready – can take a few minutes the first time.